Preheat oven to 350. To make the crust, cut butter into flour and salt using either forks, a food processor or a chopper. 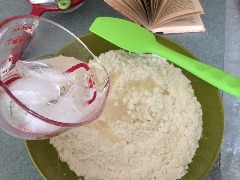 Then mix in ice water, add just enough water so that the dough will hold together. 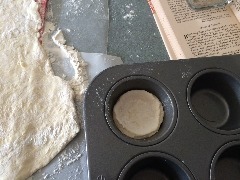 ​Roll out on an floured surface. Cut into circles using a biscuit cutter or a drinking glass. Place into a greased muffin tin. For the topping, beat 4 eggs together. 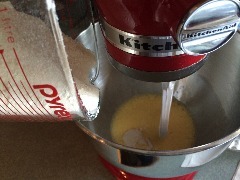 Mix together sugar and flour and gradually pour into the eggs. Add melted butter and almond meal (moistened with vanilla and almond extracts). Finally mix in nutmeg. 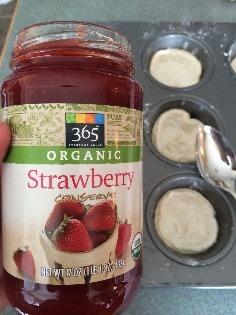 Place a spoonfull of strawberry or raspberry preserves onto crust. 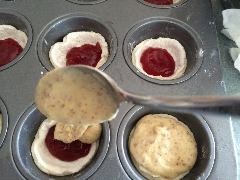 Spoon almond topping over preserves. Bake at 350 for 25 minutes. Feel that warm up in the air? You know what that means? It's wedding season! I've been in my fair share of weddings, but I have never heard of a pastry called a "Maid of Honor" until today. 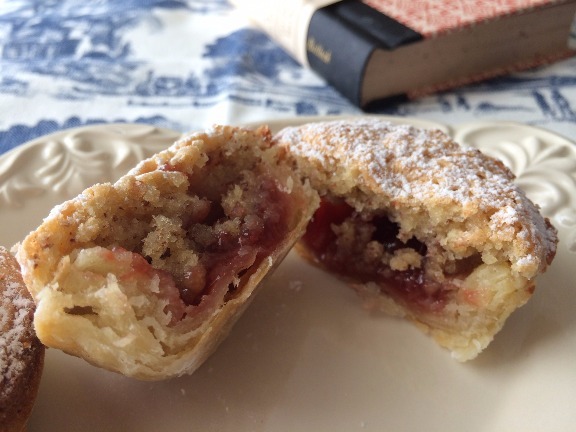 A Maid of Honour Tart or Cake is a traditional English baked tart consisting of a puff pastry shell filled with, according to this recipe, ground almonds and preserves. 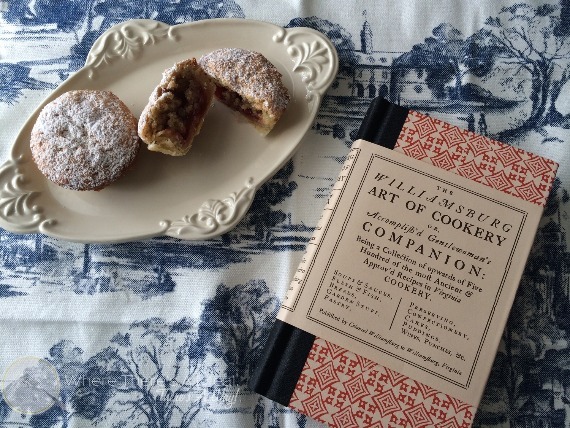 The origins of these delicious bites dates back to King Henry VIII. It is said that he witnessed the Queen's Maids of honour eating some cakes and after tasting them himself, he named them after the Maids of Honour. This recipe was adapted from the Market Square Tavern located in Williamsburg, VA. Market Square Tavern is one of the 88 surviving buildings located in downtown Colonial Williamsburg and its origins date back to the mid 1700's and it has gone through several restorations from a storefront to a hotel with up to 13 rooms. 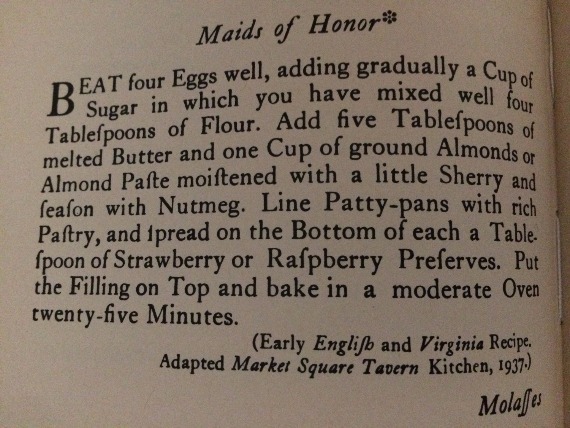 At some point, a kitchen was built and this delightful recipe was used to serve guests both staying and visiting. Want a sweet treat with both Royal and Colonial ties? Look no further than the Maids of Honor tarts, because, where there's a meal, there's a way!